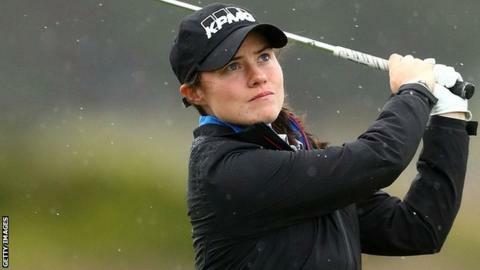 Ireland's Leona Maguire has hit an opening round of 69 to sit four shots off the lead at the ActewAGL Canberra Classic in Australia. The Cavan golfer's two-under-par sees her tied for 21st place after the first day of her second Ladies European Tour event since turning professional. Maguire hit three birdies and six pars on the front nine, and dropped just one shot on the back nine with a bogey on the par-four 10th hole. American Amelia Lewis is the leader. She shot six under at the Royal Canberra Golf Club to lead by a shot ahead of a trio of Europeans, with Caroline Hedwall, Noora Komulainen and Manon De Roey all sharing second place following first round. Former amateur world number one Maguire finished in a tie for 20th place on three-over-par after firing a final-round 75 at the Australian Ladies Classic in Bonville last month. She was the top-ranked amateur in women's golf for 131 consecutive weeks and earned a Tour card in December.